1. Sean McDowell, A New Kind of Apologist, p. 88. The following trailer introduces a 10 episode TV/DVD series to be released in July 2016 by Olive Tree Media entitled "Jesus the Game Changer." This series features over 30 academics, authors, and researchers who share how the life and teachings of Jesus changed the world and why it matters. I remember when I first made the decision to follow Jesus Christ. I was excited about the evidence I had discovered for the reliability of the New Testament and the resurrection. I went to church to discuss it with fellow believers, but to my surprise, most were unaware of it or just didn't care! I learned a difficult lesson that day- many within the body of Christ are unaware of the rich arguments and evidence that support what they believe and others would rather talk about the big game than think hard about their Christian convictions. As a result of such attitudes, intellectuals or thinking believers can sometimes feel out of place in church. If you have ever found yourself feeling this way, you will be encourage by today's featured post by Kenneth Samples of Reasons to Believe. You can checkout the entire post here. Look, we have messy lives. Some of us have medical problems—even in the womb. Some of us develop coronary heart disease at 41 years old. Some of us are hurting mentally, emotionally, and spiritually. But Jesus came that we might live, and live abundantly (John 10:10). 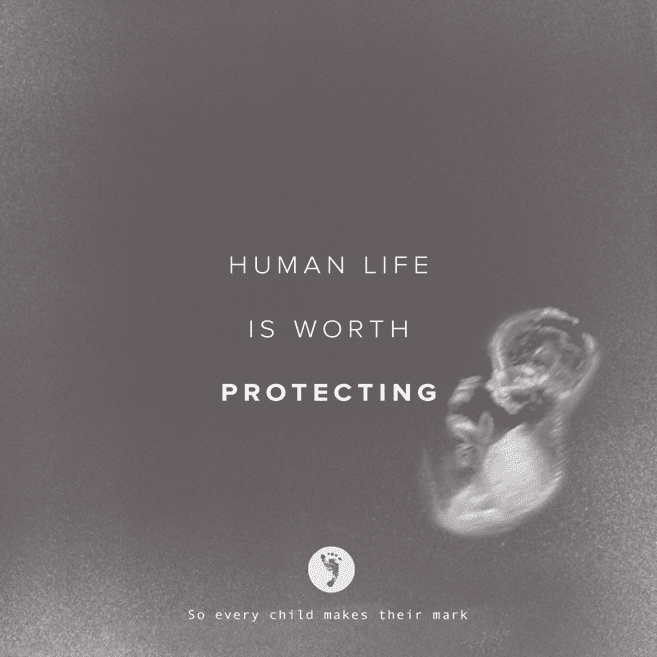 And that right to life applies to all of us—inside or outside the womb. Let’s continue linking arms together, protecting all human life in honor of Jesus Christ, who honored us by His death and resurrection. Read the rest of Brian Fisher's (of Online for Life) thoughts on Easter here. Apologetics315 posted an excellent series of videos featuring historian Mike Licona. You can check out the "Top 10 Myths about the Resurrection" here. Further, I highly recommend Licona's latest book The Resurrection of Jesus: A New Historiographical Approach. We have also added this to our Resurrection Research Links. I also encourage you to checkout Powell's unique book Resurrection iWitness. "Jesus was an apologist. He used logical reasoning to respond to criticism (e.g., Matthew 22:23-32) and he put forth various lines of evidence to demonstrate that he was the Messiah. Along with loving people, healing people, and proclaiming the kingdom of God, Jesus thought it was important to defend the truth of the Scriptures and to provide positive evidence in support of his worldview. His goal was not simply to win arguments for their own sake. Rather, his greater goal was to see people follow him and to experience eternal life (John 17:1-5). And yet to accomplish this end, Jesus utilized apologetics as one important tool. For an example of Jesus the apologist in action, see here. 1. Sean McDowell, A New Kind of Apologist, p. 19-20. New Testament scholars such as Bart Ehrman say historians cannot; however, in this featured post by Jonathan McLatchie, he contends otherwise. In the post, McLatchie explains that this type of thinking originated with David Hume and he demonstrates why this common objection fails. 1. Jonathan McLatchie, "On Miracles and Historiography: Can the Supernatural Ever Be the Best Explanation?," April 26, 2014. Bobby Conway, Lead Pastor of Life Fellowship Church and the One Minute Apologist, delivers a powerful message about the doctrine of Hell. This is a rebuttal to Rob Bell's book Love Wins. 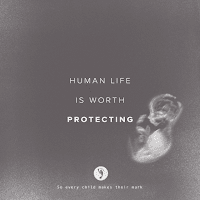 Abortion is a decision that has such a detrimental effect on so many, across generations. Sadly, we know that there is often little choice behind the decision, whether lack of knowledge about resources and support, coercion, and even force are the impetus for it. 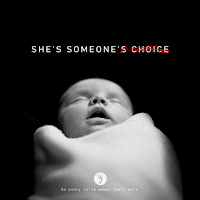 Every decision has a consequence; every abortion has a ripple effect that impacts generations. That is the biggest reason why I came forward publicly in 2007 as an abortion survivor, to turn back the tide in the opposite direction, to bring truth and love to a world that has been devastated by abortion. Lives like mine, stories like mine, are often unheard of in a world where abortion is still talked about as a simple choice or a woman's right. Thankfully, however, the truth about abortion and its consequences for children, women, men, families, and our communities as a whole is coming to light. The truth about abortion survivors is that I'm far from alone. 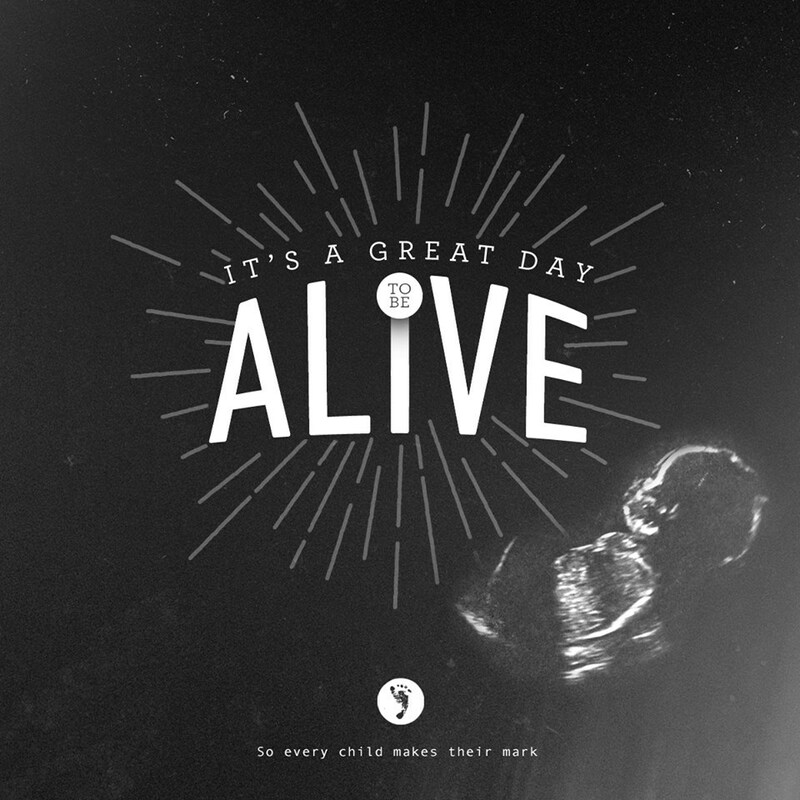 Although we mourn the loss of nearly 57 million lives to abortion since Roe v. Wade was passed, we also celebrate the lives of those who have survived. 1. Pages 115 and 120-121. 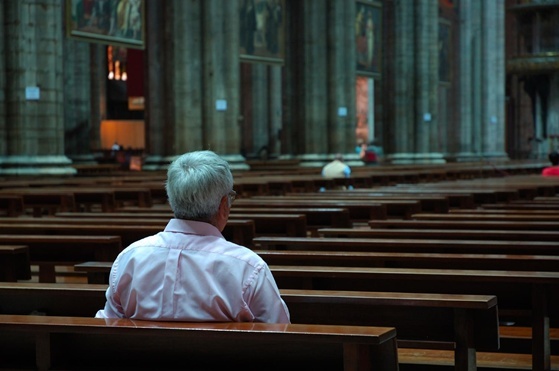 It is my conviction that the modern church as a whole seems lost. In our attempts to remain relevant, in many ways we have become irrelevant. We have more tools available to spread the message of the gospel, but seem less effective. Young people are leaving the church and our congregations seem more biblically illiterate than ever before. Where have we gone wrong? What is the solution? Moreover, the layout of the book is both easy to follow and down-to-earth for church leaders desiring to implement the author's ideas. Each chapter ends with a short note to pastors, action steps, reflection questions and recommended reading. Further, throughout the book Hartman's convictions are supported by examples from the very history he argues we need to recover. Church History for Modern Ministry is an ideal introduction to church history for anyone interested in learning more about the topic. Hartman's humor and concise explanations make his work easy to digest while not sacrificing depth or precision. The shelves at Christian bookstores are filled with books that recommend new ways to preach, teach, disciple and worship; however, Dayton Hartman has successfully argued that the answers to the issues plaguing the modern church can be found in its rich history. Many thanks to Dayton Hartman for the review copy! 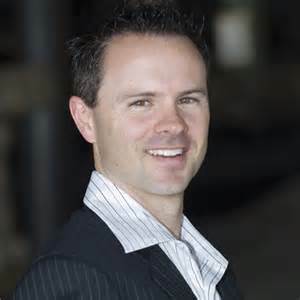 Sean McDowell is an assistant professor of Christian Apologetics at Biola University. 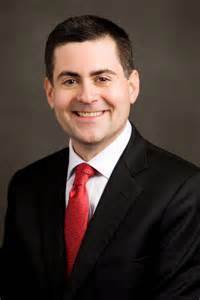 He has two Masters Degrees in Theology and Philosophy from Talbot Theological Seminary and earned his Ph.D. in Apologetics and Worldview Studies from Southern Baptist Theological Seminary. 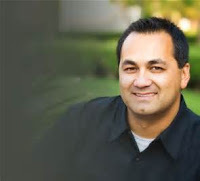 He is an internationally recognized speaker, best-selling author, and was 'Educator of the Year' for his hometown, San Juan Capistrano, in 2008. To learn more about Sean, go here. and adopts fresh strategies for reaching those who are outside the church with the truth of the gospel. To get your copy, go here. Our review of this work is forthcoming! 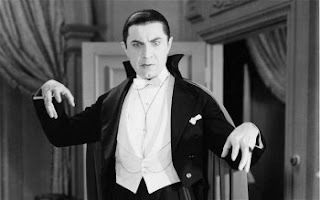 This fascinating article from the Gospel Coalition by Joe Carter explains how the non-existence of vampires reveals the existence of God. He explains how a little math and physics, as demonstrated in Cinema Fiction vs Physics Reality: Ghosts, Vampires and Zombies by Costas J. Efthimiou and Sohang Gandhi, illuminates the fact that if such creatures existed, humanity would be quickly decimated. In fact, a vampire apocalypse in the 17th century would last a mere 2.5 years. Joe goes on to explain what he calls the V-class principle, the necessity that V-class objects, like vampires, do not exist if humans exist. He then combines the V-class principle with multiverse theory stating that “[any] universe created by the multiverse generator would need to include both (a) the positive conditions necessary for life (i.e., the fine-tuned laws of nature) and (b) the negative conditions necessary for human existence (i.e., the absence of V-class objects). This in turn reduces the chance hypothesis to a virtual impossibility, demonstrating evidence in support of the conclusion that God exists. Don’t take my word for it, read the article, don’t wait for the movie. For more of Dayton's work, see here. 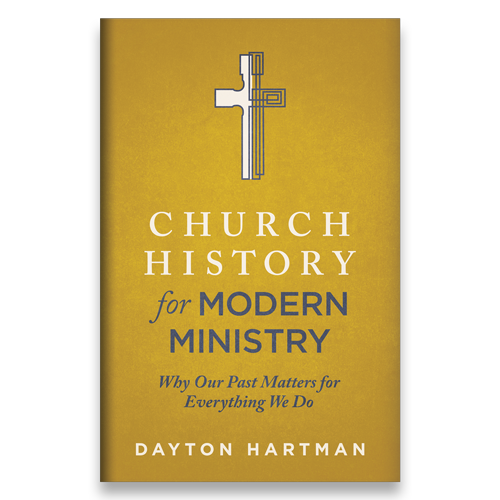 Our review of Dayton's latest book Church History for Modern Ministry is forthcoming! You can get your copy here! 1. Dayton Hartman, Church History for Modern Ministry, p. 41. In this excellent video thinkers such as William Lane Craig, Gary Habermas and Mike Licona explain the minimal facts argument for Jesus' resurrection from the dead. 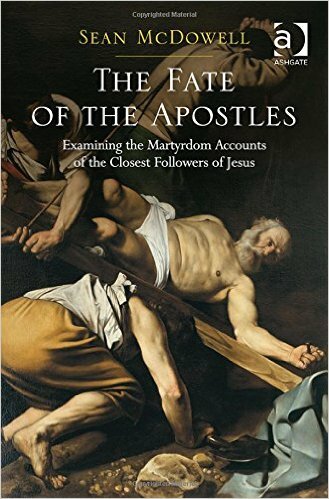 I recently had the opportunity to review Sean McDowell's excellent book The Fate of the Apostles. My review is here. In this featured post, McDowell teams-up with William Lane Craig to offer a defense for the historicity of Jesus' resurrection and challenges believers to share this truth with others! "Christianity is a falsifiable religion. Christianity makes objective claims about the real world – claims that, by the evidence, can be either confirmed or disconfirmed. If the bones of Jesus were found, then Christianity would be false. Paul said, “If Christ has not been raised, your faith is worthless; you are still in your sins” (1 Corinthians 15:17, NASB). Some religions may make untestable claims about reality, but Christianity makes claims about real events in history that can be tested. Let’s put it to the test!" 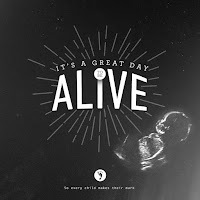 Brian Fisher of Online for Life compiled what he considers the best sermons given on Sanctity of Human Life Sunday this year; sermons chosen to inspire us to carry on the fight to make abortion unthinkable in America. You can find these sermons here. I have listened to the message given by Ted Kitchens so far and it truly was inspirational. Additionally, it addressed the issue of abortion with clarity, compassion, and grace. As the leader of the largest pro-life organization in the nation, Fisher is on the forefront of the battle so I am sure the remaining sermons will do the same. "If there is no God, then all that exists is time and chance acting on matter. If this is true then the difference between your thoughts and mine correspond to the difference between shaking up a bottle of Mountain Dew and a bottle of Dr. Pepper. You simply fizz atheistically and I fizz theistically. This means that you do not hold to atheism because it is true, but rather because of a series of chemical reactions. Morality, tragedy, and sorrow are equally evanescent. They are all empty sensations created by the chemical reactions of the brain, in turn created by too much pizza the night before. If there is no God, then all abstractions are chemical epiphenomena, like swamp gas over fetid water. This means that we have no reason for assigning truth and falsity to the chemical fizz we call reasoning or right and wrong to the irrational reaction we call morality. If no God, mankind is a set of bi-pedal carbon units of mostly water. And nothing else." You can find more from Douglas Wilson here. In this featured video, Dr. William Lane Craig lectures on "Evidence for God" and presents philosophical arguments for the existence of God. As we have demonstrated here, we certainly have evidence for the reliability of the New Testament outside of it, but the earliest and most trustworthy sources about Jesus exist within the pages of the New Testament. And for those who may say, "We can't trust the authors of the New Testament because they were bias," please see here. 1. William Lane Craig, On Guard, p. 185. "For years, I have urged Christians to take seriously their obligations as citizens, starting with exercising the right to vote. In the public square and at the ballot box, we must be more engaged, not less. But what happens in a race where Christians are faced with two morally problematic choices? Should voters cast a ballot for the lesser of two evils? This unpredictable election cycle could go in any number of directions, and I keep getting asked this question." Jonathan McLatchie of Advanced Apologetics recently shared a unique opportunity for those wanting to grow as Christian apologists- the "Apologetics Academy" Online Mentoring Program. Are you a seasoned apologist looking to improve and sharpen your ability, and test your skills in debate against the best critics of Christianity? 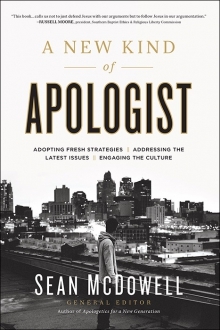 Are you a beginner apologist wanting to learn apologetics from some of the finest Christian minds in the world? Are you a Christian who is wrestling with doubts? Are you a non-Christian who has questions about Christianity and wants to honestly explore and find out more? If you fall into any of the above categories, let me introduce you to my “Apologetics Academy” online mentoring program! Every Saturday, at 8pm GMT / 3pm Eastern / 2pm Central / 12noon Pacific, I run an online apologetics mentoring class using a webinar platform called “Zoom” (http://www.zoom.us). Each week, I bring in a guest speaker to give a short presentation on a given topic. In addition to bringing in Christian speakers, I often also bring in leading atheist or Muslim speakers to present their case. The speaker’s opening presentation is immediately followed by a session of Q&A. Members of the audience indicate to me that they would like to ask a question or make a comment on the speaker’s presentation. I then promote them to be a co-panelist and allow them to literally go back and forth one-on-one with the speaker. Other audience members prefer to lurk in the background and simply listen to the back and forth interaction. Whatever your current apologetics background, my online mentoring program is designed to fulfil your apologetics needs. This is your chance to interact one-on-one with some of the brightest Christian intellects in the world, or with the leading critics of Christianity. For a complete list of currently confirmed speakers, see this page on my website. New exciting speakers are being confirmed all the time. On popular demand, I have even started to record the audio for some of the Webinars (these are also embedded on the same page). If you would like to be considered to be a future speaker for my group (no matter what worldview you represent — whether it be Christian, Muslim, atheist, or other), please contact me at the email address provided on the contact page at my website. If you know someone who might make a good future guest, please also refer them to me. To be kept up-to-date with upcoming Webinars, please like my public Facebook page here and join the Apologetics Academy Group on Facebook. Please do me a favour by spreading the word on social media, email lists and on your personal blog pages. We only recently started to use Zoom to conduct these Webinars, as it is specially designed for conducting online meetings in a way that best suits our needs. Zoom, unfortunately, is not free, and I have to pay a monthly subscription fee. To enable me to continue to maintain these free-of-charge Webinars, I am dependent on contributions. So, if you feel so led, please consider contributing via my website. 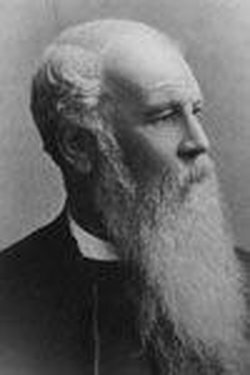 J.C. Ryle on "Cheap Christianity"
"There is a common, worldly kind of Christianity in this day, which many have, and think they have enough - a cheap Christianity which offends nobody, and requires no sacrifice - which costs nothing, and is worth nothing." 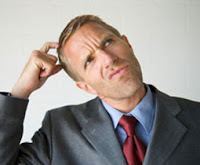 I have written about what I have learned from blog comments here, but in this featured post, Bill Pratt of Tough Questions Answered shares "patterns of behavior that have led...[him]...to refer to some...skeptical commenters as hyper-skeptics. A hyper-skeptic is someone who will not ever consider any evidences, arguments, or reasoning given for Christianity." When you read a blog post written by a Christian, you aren’t reading for understanding; you’re reading to find isolated phrases or sentences that you can attack. You believe that Antony Flew renounced atheism only because of old age and senility. You don’t understand theology or metaphysics, but you’re certain it’s just a bunch of made-up mumbo-jumbo. You almost never agree with anything a Christian apologist writes, even on the most uncontroversial subjects. You believe that if you ever publicly agree with a Christian, you are contributing to the downfall of civilization. You are 100% certain that people cannot rise from the dead, and no amount of historical evidence would ever be convincing. You think that the strength of the historical evidence supporting the stories in the Book of Mormon is roughly equivalent to the strength of the historical evidence supporting the New Testament accounts of Jesus’s life, death, and resurrection. You think that The God Delusion is a tour de force that annihilates all of the best Christian arguments for God. 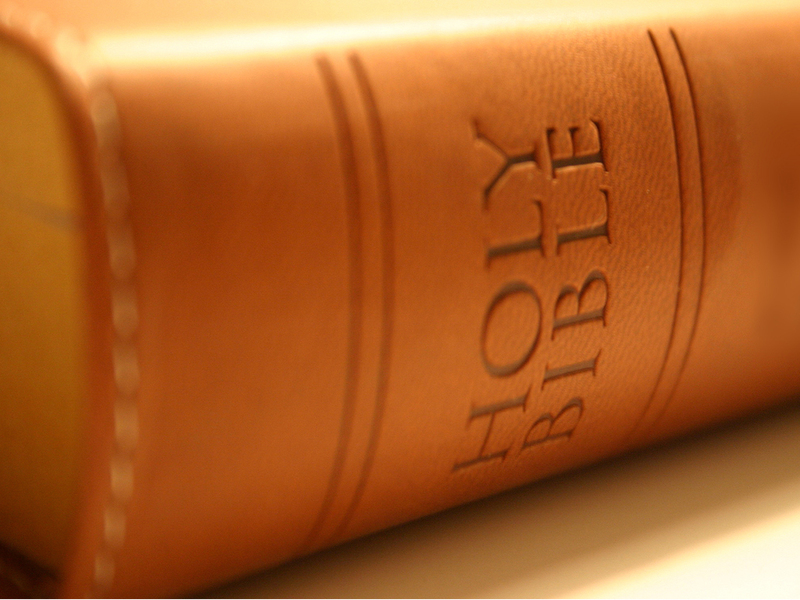 You think that the Bible contains nothing of value. "...if you’re a skeptic and you find yourself fitting much of the criteria I’ve listed above, you need to step back and ask yourself why. Why have you become as dogmatic and fundamentalist as the religious folks you like to deride? If you are a hyper-skeptic, you are not reasonable and you are not thinking clearly when it comes to Christianity. Take some time off from the blogosphere and figure out why you’ve crossed this line. I sincerely doubt it is a purely intellectual issue." You can checkout Pratt's entire post here and I highly recommend Tough Questions Answered. In Chapter 1 McDowell explains the layout of the book, the methodology behind the investigation and deals with some preliminary problems in investigating the historicity of the original 12 apostles and their fates. In Chapter 2 the case is made that the Christian faith was a “resurrection movement” since its inception. In Chapter 3 the author explains what is known about the apostles and provides evidence they were genuinely eyewitnesses. In Chapter 4 the historical evidence is presented for the persecution of Christians in the first century. Skeptics and apologists alike have been guilty of overstating their case when it comes to the martyrdom's of the apostles. Some skeptics have been responsible for attempting to abandon every claim of apostolic martyrdom because admittedly some of the accounts are less reliable than others. On the other hand, some defenders of the Christian faith have been at fault for presenting all of the apostolic martyrdom's as equally well-attested. This reader is glad to report that you will find no such errors in McDowell's treatment of the subject. Throughout the book, the author strives to handle the data objectively and honestly. 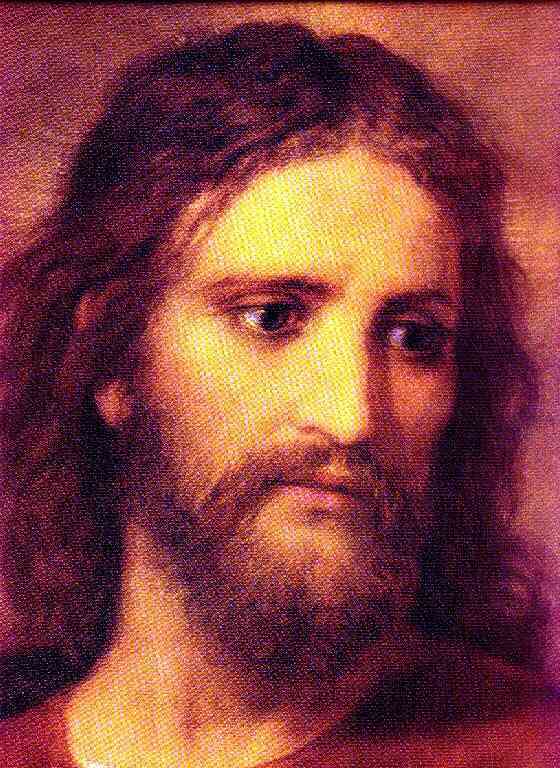 For example, when discussing the martyrdom of the Apostle Peter, the author readily admits that "Scholars disagree significantly over the fate of Peter"[p. 72] and when explaining how to properly evaluate the evidence for the apostle's martyrdom he explains "we must evaluate each piece of evidence individually and then consider the overall strength of the case. This study focuses primarily on the literary evidence since the archaeological evidence is far less conclusive." [p. 73.] This is just one example of the author being honest about the scholarship surrounding his case and not attempting to stretch the data to bolster his conclusions. This reviewer also appreciated the easy-to-follow layout of the investigation. The author's approach is both systematic and comprehensive. Moreover, throughout the inquiry both critical and non-critical literature is interacted with extensively. "In contrast to the beliefs of Buddhist monks and Muslim radicals and any other modern martyrs, including Christians, the beliefs of the apostles was not received secondhand, but from personal experience with the risen Jesus (Acts 1:21-22; 1 Cor 15:5-8). They proclaimed what they had seen and heard with their own eyes and ears, not stories received from others (Acts 1:3; 2:22-24). Peter not only claims that he was an eyewitness but that the events took place in public and that his audience had full knowledge of them. The events were not done secretly in a corner. Buddhist monks and Muslim terrorists are certainly willing to suffer and die for a faith they received secondhand, but the apostles were willing to suffer and die for what they had seen with their own eyes. For those interested in studying the historical Jesus and how the Christian faith began, Sean McDowell's The Fate of the Apostles is a must read. His investigation is precise and his conclusions are straightforward. Furthermore, budding apologists, as well as seasoned apologists, can learn much from the humble and objective manner in which the author presents his case. McDowell has succeeded in writing an unparalleled scholarly and highly readable study of the apostolic martyrdoms. Many thanks to Sean McDowell for the review copy! Video: Did Jesus Rise from the Dead? This excellent animated video by the Impact 360 Institute summarizes the minimal facts argument for the resurrection of Jesus. To learn more about the Impact 360 Institute, go here.